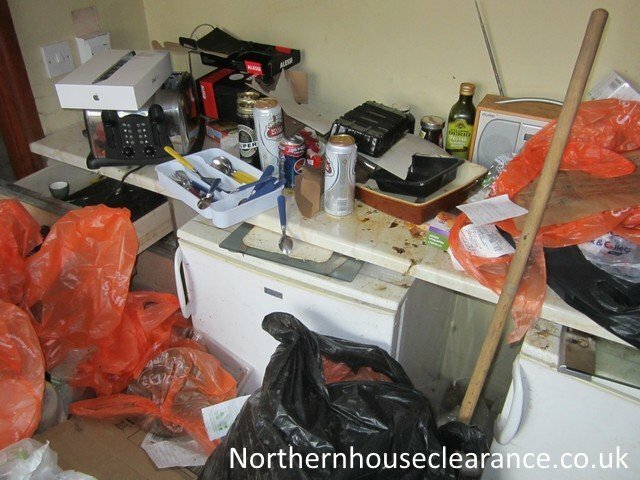 Northern House Clearance > House Clearance Services > How Does House Clearance Work? We see many people that do not prepare for getting a house cleared, instead there is a panic on the day and this can lead to unnecessary stress for the customer. Please have a read through our quick guide and hopefully we can make things easier for you. You should arrange a time and date when you are available to be at the premises to oversee the clearance of all appropriate items. Normally we say to allow 1-2 hours per room that needs to be cleared, at first this might seem a lot but having extra time is better than being in a rush. This is the most important part of any house clearance as you don’t want to throw away any family heirlooms. We suggest that you speak to family and friends to assess what should stay and what should go. This may seem tedious to some people but throwing away something of sentimental value can never be replaced. Once you have done the above steps you should then contact a reputable company like ours to come and undertake the house clearance on your behalf. You should also try to write a rough list of bigger items that need to be cleared as this will help you get a more accurate quote over the phone. We are 100% committed to recycling and helping the environment and we achieve such high rates by donating as much as we can. We do this via various animal sanctuaries (bedding, newspapers etc. ), homeless shelters (bedding, clothing etc.) and via our own contacts with various second-hand shops, charity shops and recyclable furniture organisations (bric-a-brac, reusable furniture and electricals etc.). There are a couple things that you should definitely not do when having a property cleared, please remember the following. • Do not leave any documents or paperwork for clearance as identity theft is a common occurrence in the U.K and you don’t want your documents falling into the wrong hands. • Do not try to lift any heavy items on your own. You could hurt yourself trying to lift items on your own. Wait for help when struggling to lift an item. If you follow our guide then you should have a smooth, stress free house clearance.